I decided recently that I’m going to blog more about the stuff I love since this is something I used to do more frequently and slacked off on this summer since I was, you know, enjoying summer. Yesterday the Jamberry 2016 catalog was announced and I spent a good portion of the day looking over all the wraps and deciding what I’m going to order first. First, let me explain why I love Jamberry, and there are many reasons. I love the creativity of the wraps and how each individual person can put their own spin on the wraps by mixing and matching or layering. I love that the company is run by mostly family, they have clear goals and share a lot of their journey with their reps and customers. I love that I don’t NEED a rep to buy anything from Jamberry. Sure, I have lots of friends that are Jamberry reps (I can think of 5 off the top of my head), but if you don’t want to deal with ANYONE, you can just buy directly from the website. And Adam Hepworth from Jamberry won a E&Y Entrepreneur of the Year in 2015 in the Emerging category. That’s a pretty big deal, and it shows they are committed to good business practices. I recently was interested in an essential oils company but I HAD to buy my oils through a rep and always be hearing about their products and guilted into sales, and UGH. No. 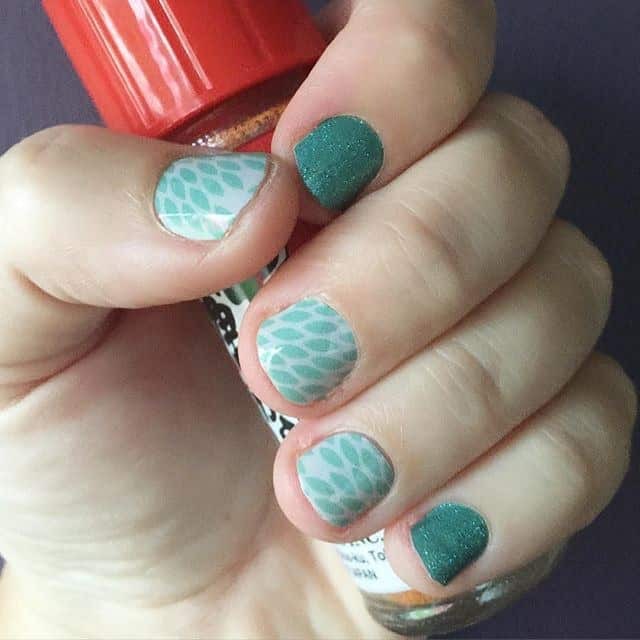 That experience made me love Jamberry even more. I have never been guilted into buying anything and I could just buy what I want when I want. It probably doesn’t help that I want new Jamberry wraps pretty much every day. Lol. ETA: I also love Jamberry because the wraps are non-toxic and you can remove them safely with oil. You don’t need to use chemicals to put them or take them off, so they are gentle on your nails, which is important to me. And Jamberry has also empowered a lot of my friends to make some money on the side to help pay off college loans, keep them afloat between jobs, or keep them active while taking care of kids. There’s a lot to love about this company! Speaking of which, since the new catalog is out, let me show you my top 10 Jamberry 2016 picks! From top left: Ombre Lotus, Candy Cane Lane, Faux Fox, Satin Gold Chevron, Renaissance, Broken Arrow, Ribbon Dance, Playground, Disoriented, and Flash. 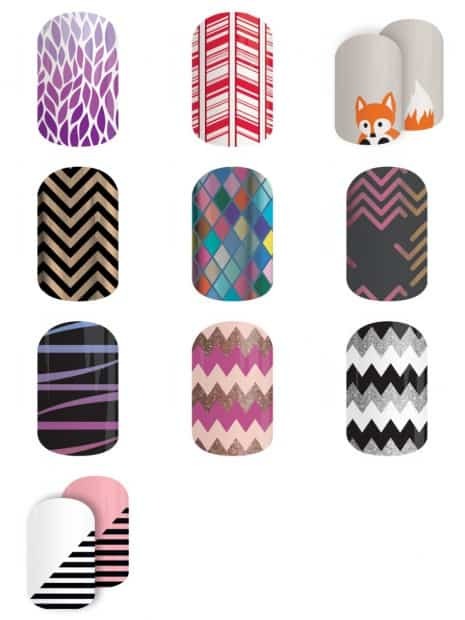 I’ve obviously got a thing for chevrons and THE FOXES! I’m going to buy at least two of those because I NEVER WANT TO BE WITHOUT THEM! If you’re considering buying some Jams, please consider buying through any of the following ladies (or you can just buy direct from the website): Leah Shapiro, Skylar Bliss, Fit N Fancy Nails with Tracy, Emily O, Paloma Borrayo. Are you into Jamberry? What are your favorites from the new catalog?